This last winter was one of the harshest in my short life of 46 years on this planet. While most people were hiding from the cold in their homes some lost their lives because of the extremely low temperatures. A young man was found dead next to his wheelchair on the side walk, another senior was also found dead in the cold, and they are both hear breaking if you imagine their suffering while freezing to death unable to save their own lives. There is victim though that I consider to be the most heart breaking. It’s the loss of the toddler Elijah March. This is the one that gives me the worst feeling I’ve ever had for my whole life, although I had to prepare and bury my own son and a lost my father without having the chance to say goodbye or be by his side in his last days. The toddler left his grand mother’s residence at around 4:00 am and wandered in the open at -40-something degrees wearing a diaper, a T-shirt and a pair of boots. Just by writing about it now 4 months later I am fighting my tears because I am in a public place. And no matter how long I will write about my feelings I am sure I’ll never be able to explain it. It’s like living Elijah’s suffering with him every time I remember, like right now. Thanks to my neighbours I got some time off the writing before I start crying (Yes Men Cry! Live With It!). In my faith nothing happens without the permission of the Almighty God, and I am sure that the Merciful God made it go easy for the Elijah without the suffering that I am imagining as He is more merciful with us than we imagine. I also believe that nothing happens without a good reason. Immediately after the incident some safety experts showed up on TV and started a series of tips on how to child-proof your home so that other children will not have the chance to leave their beds and the whole building without their parents noticing. Two things I may add to their tips though. One is going to be a high enough lock that can not be reached by a the toddler standing on a chair on top of a coffee table (this is my view based on how my home is furnished, you modify it based on your circumstances). The other one is a tracking device. You know those tracking devices scientists use to track endangered species in nature installed under the skin or in the ear of the animal? Why don’t we have some of those for children as well? They don’t have to be permanently installed on the body of the child, they can be warn in something like a bracelet around the child’s ankle every time they are going to be out of sight, like when they are in bed or in the play area. 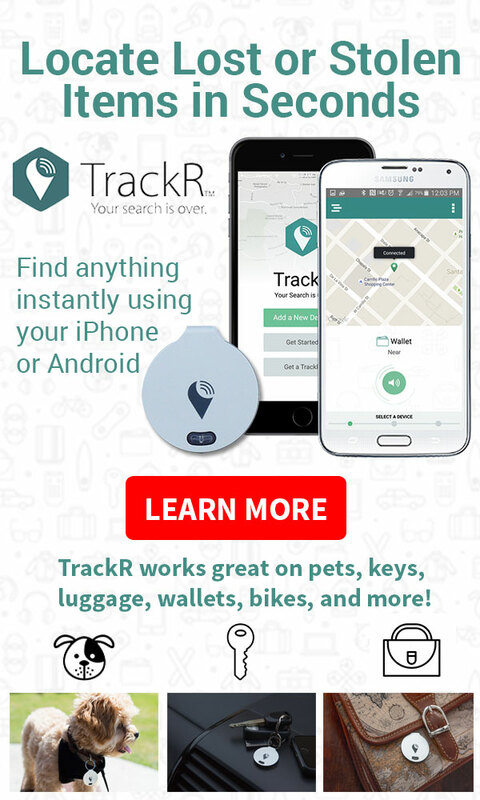 As a marketer I have access to all kinds of products that need my marketing help, and I found this tracking device, TrackR Bravo, that can be used to track pets, keys, cars, wallets … basically anything. And the way it works is exactly what I was looking for. This tracking device can be used via an iPhone or Android app that uses GPS to locate the item this device is attached to, giving you a sound warning when this item goes as far as 100 feet away from you, and you can track it directly with your app within 150 miles range, and if it goes further and another smart phone with the app installed on it comes as close as 100 feet to it you get a signal with a precise map location. It is not only for toddlers and young children, even teenagers and adults could use this kind of technology. The number of kidnaps that end up with murder is scary to any parent. The kidnapper might make sure to get the phone from your kid, but they might not recognize a tracking device in the belt or bracelet. This tracking device has been shipping out since March, so you can order it now without any waiting time. You can order TrackR Bravo here. It’s the kind of products I would recommend to my sister to track her kids and would be proud to say I do marketing for this product. And if you do pray to God please keep it in your prayers to save all the children in the world from any kind of harm. Sometimes there will be no one around to help you when an emergency arises, or maybe you are someone s only hope. What would you do? These emergency apps will help guide you through saving yourself or the life of someone else. Definitely take time to familiarize yourself with them before you find yourself in a life or death scenario.